Outgassing is what happens when components, such as adhesives or polymers, emit volatile organics when exposed to heat. Outgassing can cause odors, environmental issues and product contamination. Outgassing testing is a means of material testing in which a product is evaluated for the potential of emitting volatile organics upon heating or over time. For example, in a sealed and heated environment like a computer hard drive, an adhesive can release plasticizers or other low molecular weight materials. These materials can reform in another location of a hard drive where they may cause shorts, crashes and other malfunctions. Outgassing testing methods such as headspace analysis are required to prevent potential failure and to ensure product quality and effectiveness. Our analysts produce results quickly and give expert advice to solve the issue. We can evaluate the outgassing properties of the adhesive to see if it is a problem. Headspace analysis with GC/MS can identify the components of gas emissions. 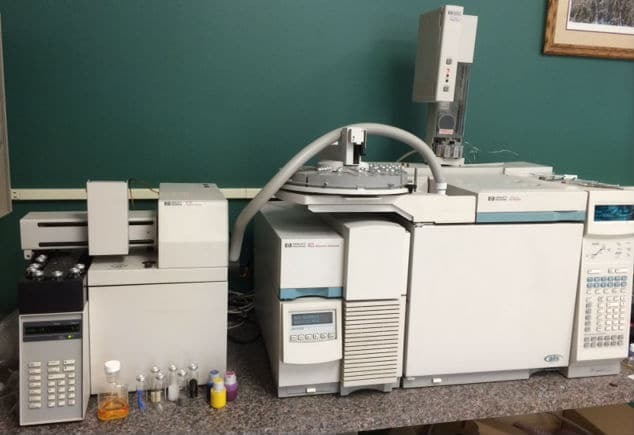 Analytical methods we conduct, such as GC/MS analysis, help identify material causes to help replicate or eliminate their source. With specialized outgassing services, such as headspace analysis, Innovatech Labs is a uniquely qualified material testing lab. Our analysts have worked in many industries. This service has a fast standard turnaround time and can be further expedited if necessary. You’ll find comfort in knowing that the Innovatech Labs employee that you communicate with is also the person conducting the testing. For more information about outgassing testing services at Innovatech Labs and how we can help you solve a challenge you may be facing, contact us today.